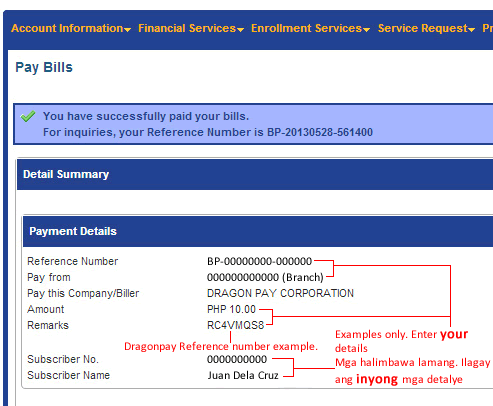 You may make online payments to Dragonpay-accredited merchants using your BDO Retail Internet Banking (RIB) facility. Please note that payments made through this channel will only reflect the next day. So if you are purchasing a product or service with a payment deadline on the same day, do not use this payment option. You may use BDO RIB Fund Transfer instead. 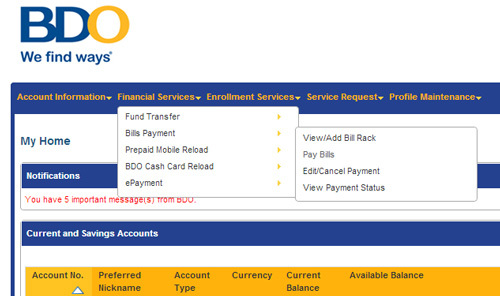 From the main menu, go to Financial Services >> Bills Payment >> Pay Bills. For Pay From, choose your account where the payment will be deducted from. Check the tick box to Show Company/Biller not requiring enrollment. 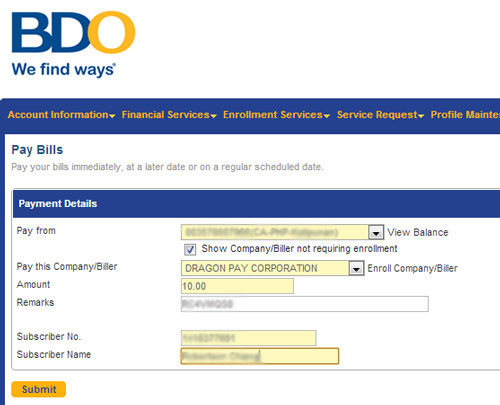 From the Pay this Company/Biller dropdown list, select DRAGONPAY CORPORATION. In the Amount field, enter the exact amount due. For Remarks, enter your Dragonpay 8-char reference no. Copy-and-paste the 10-digit Subscriber No. from your instruction and type your name under Subscriber Name. Click the Submit button to proceed. 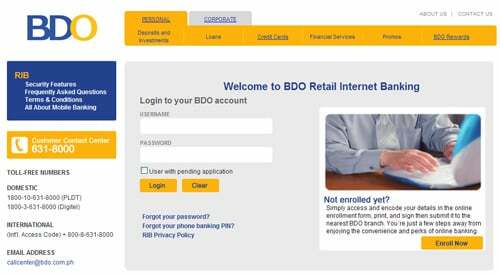 BDO RIB will display a Transaction Acknowledgement screen.